Eleven-year-old Andrew discovers that the infant born in his backyard is no ordinary child but the Son of God. Andrew befriends a young couple, the mother pregnant with child. When they arrive at his father's inn, Jonathan rents the last room to a man who offered more money and turns Mary and Joseph away. Andrew is distraught and refuses to leave the stable to come into the house. His father then realizes there is plenty of room in the stable and decides to rent it to Mary and Joseph at full price. Andrew enjoys the company of the new arrivals but strange things begin to happen. Along with his best friend Michael, they are bewildered when Andrew believes he heard unearthly singing come from the mountain above the inn. The very next day nearby shepherds appear asking to see a child they have never seen claiming they were told to come to the manger by a multitude of singing angels. Andrew and Michael are more mystified when three strangers arrive at the inn bowing before the son of Mary and Jospeh as if he were a king. 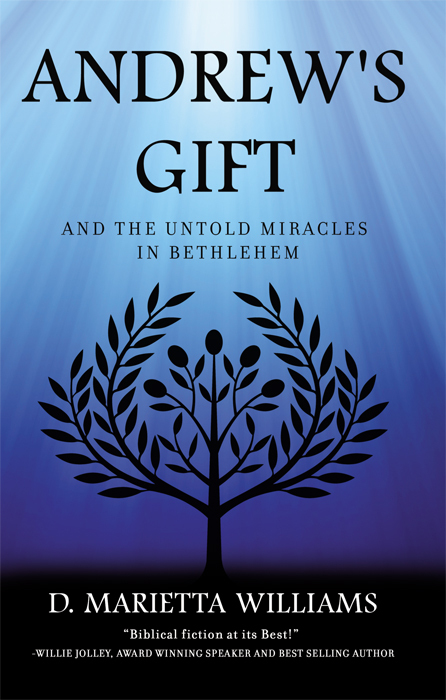 Experience Bethlehem in the days of old with Andrew as he slowly begins to discover the answers to his questions surrounding the birth and early life of a not so ordinary baby boy born in his stable.